The moment you enter this cafe, you'll feel you are far far away from the hustle bustle of Delhi. The interiors are nicely done and give the cafe a warm and cosy feel. We went in the evening, so the tables were lit with candles and they looked awesome. They played some amazing music which was going well with the ambience of the place, we just loved it. Staff was courteous and attentive! Food we tried : Homemade Lamb chilli Nachos Tender chicken breast wrapped in bacon Pepperoni pizza Wine Homemade Lamb chilli Nachos were the best nachos I had till date. They were so light and crispy and the cheese lamb and pickle were amazingly combined to give a mind-blowing taste. The quantity of nachos was sufficient for 4 people if you are having them as starters. Tender chicken breast wrapped in bacon was our main course and it also tastes amazing. Perfectly cooked bacon and super juicy Chicken breast just stole our heart. The cream sauce was a little bland but overall complimenting the dish. Served with rocket leaves and olives and mash potatoes. It was too good! Pepperoni pizza: All I am gonna say is that you have to try it once. It's one of the most loaded pizzas I have ever had. And it was awesome. Thin crust with quality cheese and pepperoni slices. Heaven!!! Wine: wine was just okay. 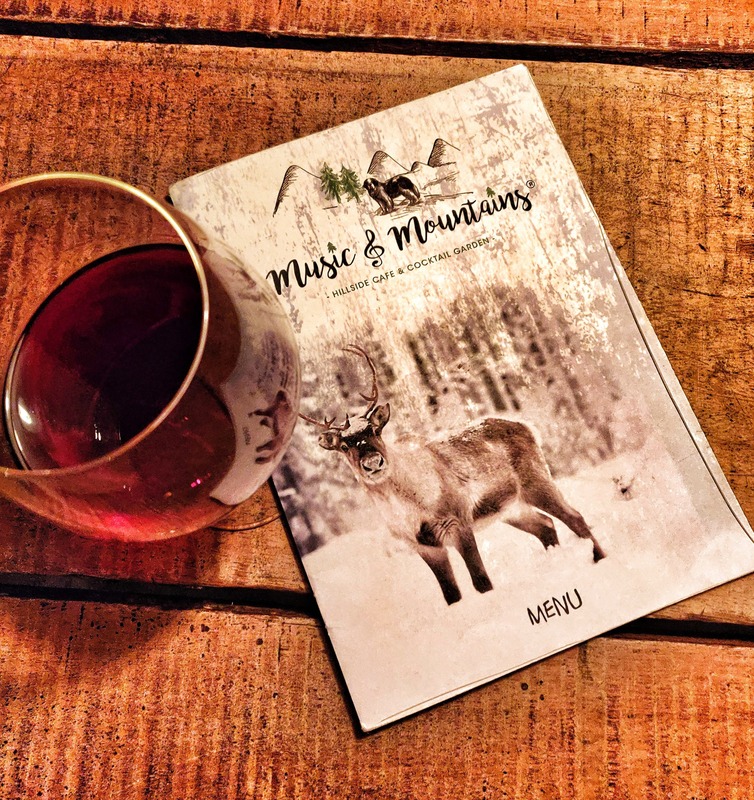 Would recommend people to head over to Music & Mountains Hillside Cafe!